Our fabulous runner has done us proud – and there is still time to donate! 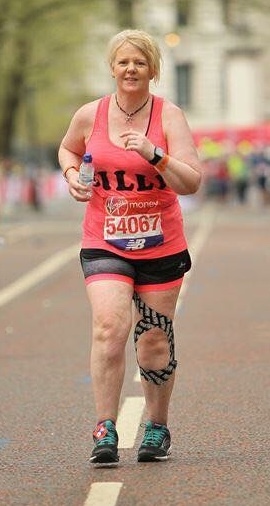 Our fabulous social inclusion manager Gill Pitt has completed the London Marathon! We are so very proud of her and this amazing achievement. She completed the gruelling circuit around the capital – the hottest on record – in 7 hours and 40 minutes. Gill seems to have taken the whole thing in her stride (excuse the pun!). She wasn’t anxious in the run up to the marathon, to the point she was concerned that she wasn’t concerned! But then again she had trained hard and was very determined to complete it, even if she had to crawl over the finish line. However, no amount of training (along the streets of Ludlow over the harsh winter we have had) could prepare you for the heat. It reached 24 degrees on the day and there were many warnings issued to runners in advance, telling them to drink plenty of water and advising them not to run in fancy dress. Gill had no water after mile 8 until about mile 21, but the Great British public were on hand. Spectators were coming out with jugs, washing up bowls and using discarded empty bottles too, she even had an ice lolly and a cornetto from a spectator! She said the heat was awful – feeling hotter than 24 in the sun. Gill had wanted to run the distance in about 6 and a half hours, at the halfway stage she was on track but saw many people flagging and fainting around her. Friends and family had gone down to support her and she said it was a real boost when she saw them as she tried to maintain her positive attitude. It’s exactly the same attitude she takes when working at The Furniture Scheme and helping people here. 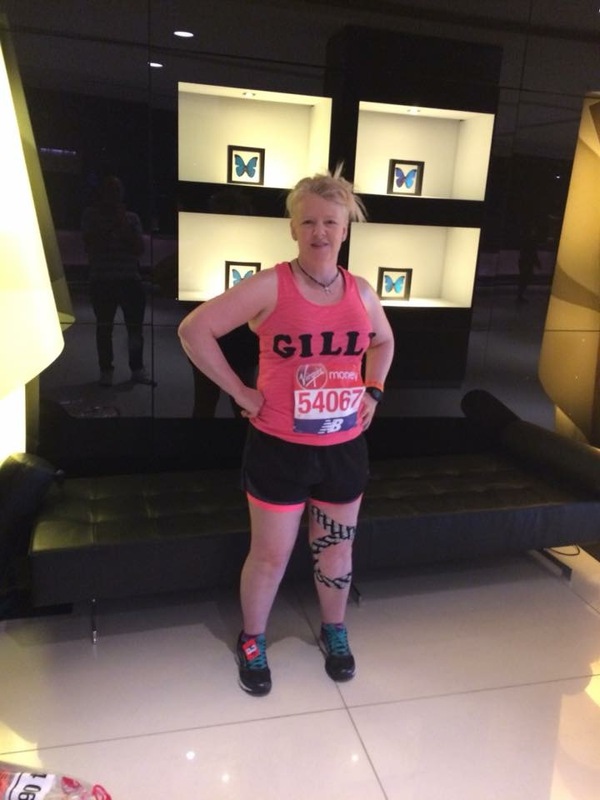 We are so proud of Gill for having completed the marathon – let alone in the tough conditions she faced. She’s also raised almost £1,000 so far too – but don’t worry, there’s still time to donate. 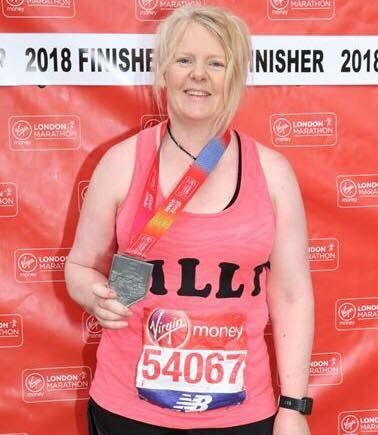 You can do this by visiting her Virgin Money Giving site to donate and then why not check out our stories page to see how money raised for The Furniture Scheme can make a real difference to people’s lives?